NYC is Blue: "The Fabric of the City"
Moments ago, the club officially unveiled its 2017 kits. Love it. Looks fantastic with the navy shorts. Today, New York City FC is proud to reveal its new 2017 home uniform, designed by adidas. The Club’s second ever home jersey can be seen in a video in which a young fan’s dreams become a reality, when he gets to swap shirts with his hero, NYCFC Designated Player and World Cup winner, Andrea Pirlo. Aimed at its younger supporters in particular, NYCFC focused on the kids who are crazy about their team and their heroes on the field. This year, Michael, a young New York City FC super fan, got the very first look at the new home jersey, as he was selected to take part in the animation video to swap out an old New York City FC t-shirt for the new 2017 jersey. For the second year in a row, New York City FC has given a sneak peek of its new uniform to fans first. The jersey exchange is a storied tradition in soccer history, but usually doesn’t involve making a kid’s dreams come true. The video was created by fusing live action with hand-drawn animation. The 2017 home jersey was created for New York City fans, with design inspiration coming from the City itself and the pride of New Yorkers. 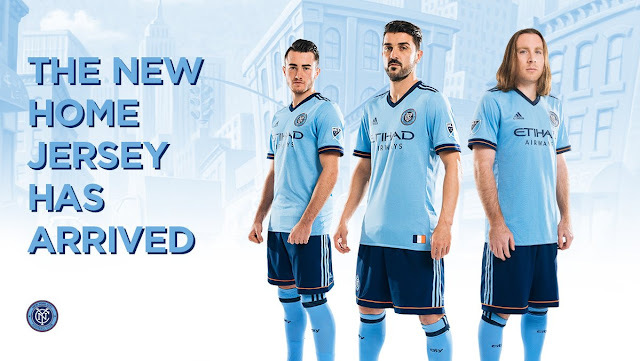 The City blue jersey features the New York City flag, punctuated by the New York City FC monogram, as the jocktag on the jersey’s hem. The unique heather fabric is accented with navy and orange trims, the colors of the flag, while the neck tape recognizes the five distinct boroughs. The shirt’s light material makes it lifestyle wearable that can be worn at games or casually on the street. The jersey will be available in both authentic and replica styles. The authentic jersey has been designed with the best of adidas technology with an engineered adizero back panel for player comfort and temperature regulation. The replica is made out of 100% recycled polyester and features adidas ClimaCool technology which helps players stay cooler by regulating temperature and wicking moisture away from their skin. Lower sleeves mesh insert will also guaranty a better breathability. 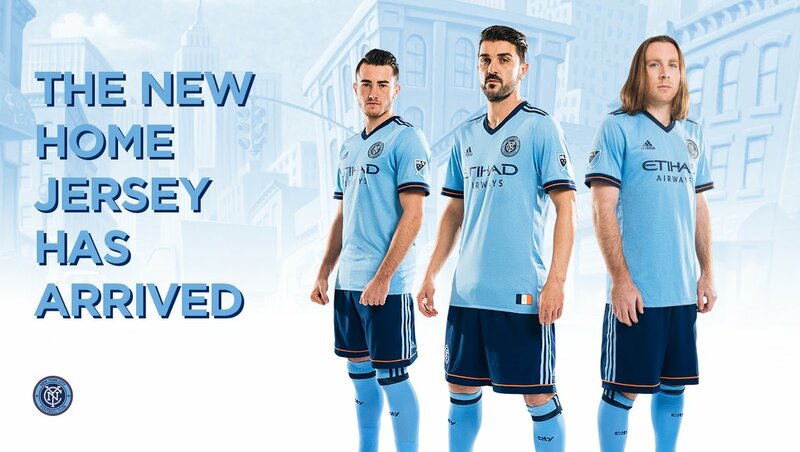 New York City FC’s new home uniform is a true homage to the City; it is the fabric of the City. “I am honored to put on this new jersey because it represents my new home, New York City. 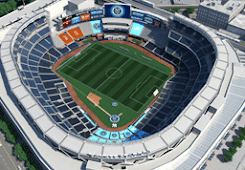 I am excited whenever I play in the City’s colors in front of all of our amazing fans at Yankee Stadium. New York City FC will wear the new 2017 home uniform for the first time in a pre-season friendly against CS Emelec in Ecuador tomorrow, February 8. The Club will open the 2017 season on March 5 against Orlando City SC. The jersey is now available for pre-order at shop.nycfc.com and modells.com. It goes on sale starting February 17. I love it. Can't wait to order.